A good win for a very purple very euro build! Oury made some of the finest grips back in the day. To celebrate the release of the Oury 2009 range the UK importers Descent-Gear.com have given retrobike a pair of grips to give to the lucky winner of the November 2008 BoTM contest. 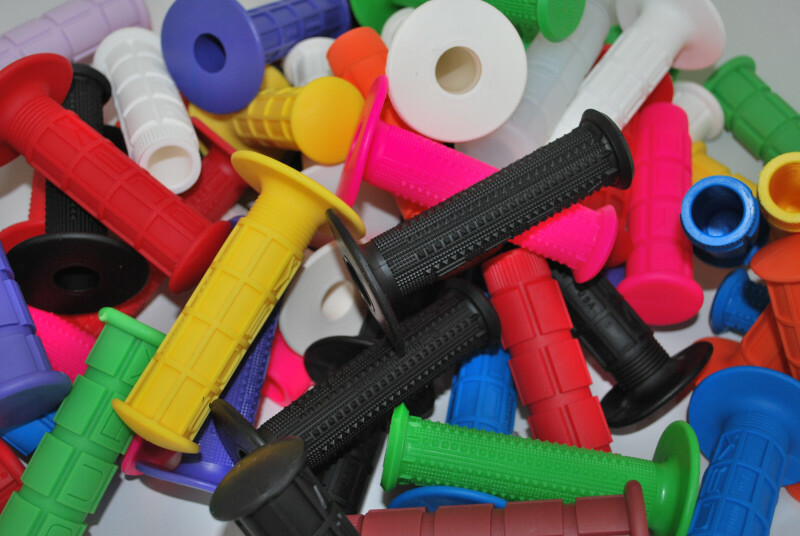 Oury Grips have been around since year dot as you can see by their still popular 80′s retro grip designs. New for 2009 are these new colour ways for an ever expanding rider base. Oury Grips know exactly what their doing, as you can see they have been doing it for long enough! Whether your into Moto-X, ATV’s, Jet Ski’s, BMX or Mountain Bikes then Oury have a grip for you. For those of you with small hands and small things to grip onto this is the one for you whilst ripping the trails on a dry day and remaining at one with your cockpit controls. A fine victory for a handbuilt British classic. Recently received a press release from the people behind Break the Cycle, a film about DH mtb in Ireland. Now we’re more than aware this isn’t of core interest to many retrobike readers but thought we’d post the release anyhow becasue it seem like a good project. Sharon Kennedy and Andy Yoong from Northern Ireland Production Company Honcho Designs, have teamed up with 10 of the best Irish Downhill riders including Irish Downhill Champion Colin Ross, Masters World Silver medallist Meave Baxter, and Irish pro Ben Reid to bring you a Downhill film with a difference. Looks like Dr S is in fine form. His Fat chance Shock-a-billy takes a well earned win in the august 2008 contest. Summer Retrobike Meet – Peaks Sept 6th! Expertly organised by our very own MrK, this is more than just a meet! A great ride, unofficial awards, pub quiz , random detours and extreme banter will all feature. More details can be found in the discussion thread ongoing here..
All welcome, ability/fitness not important (as you will see) – look forward to seeing you there! A well deserved victory for a classic ride. 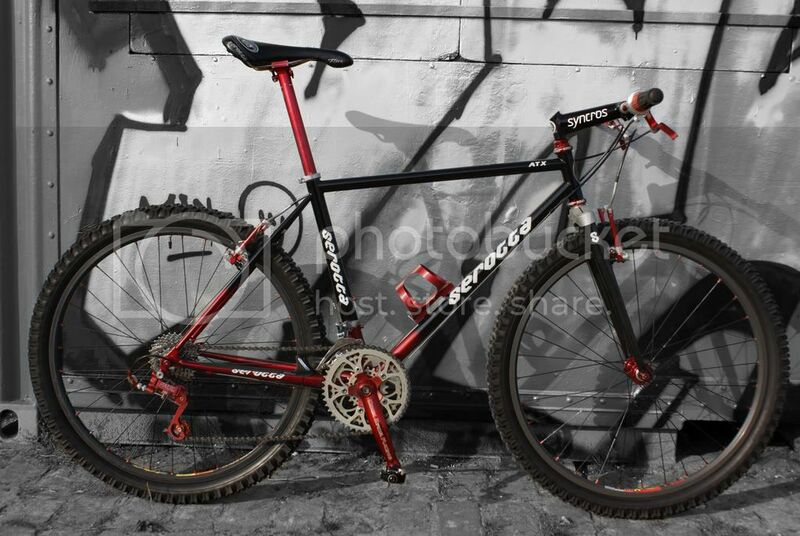 John’s 1993 Fat Chance Yo Eddy in Grello with red anno parts finally takes the top spot in the coveted Bike of The Month competition. June 21st-22nd saw retrobike make their annual pilgrimage to Eastnor Park to take part in Mountain Mayhem. With over 25 riders and various hangers on it was an excellent turnout. Despite the British weather a great weekend was had by all, due in no small part to the excellent organisation of the event. The full aftermath discussion is going ahead in the forum here. The galleries can be seen here. Bring on next year where we’ll hopefully have an even bigger and better turnout. The win goes to Gump’s Mountain Goat Whiskeytown Racer. 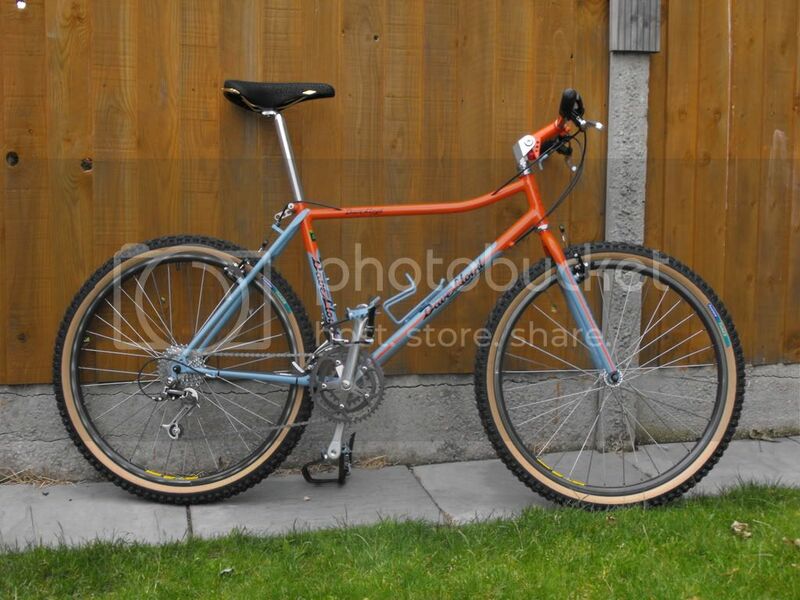 This bike won a very early contest when owned by Jez. History repeats itself! Retrobike BoTM for May 2008 is Retroking #1′s GT Quatrefoil tandem! 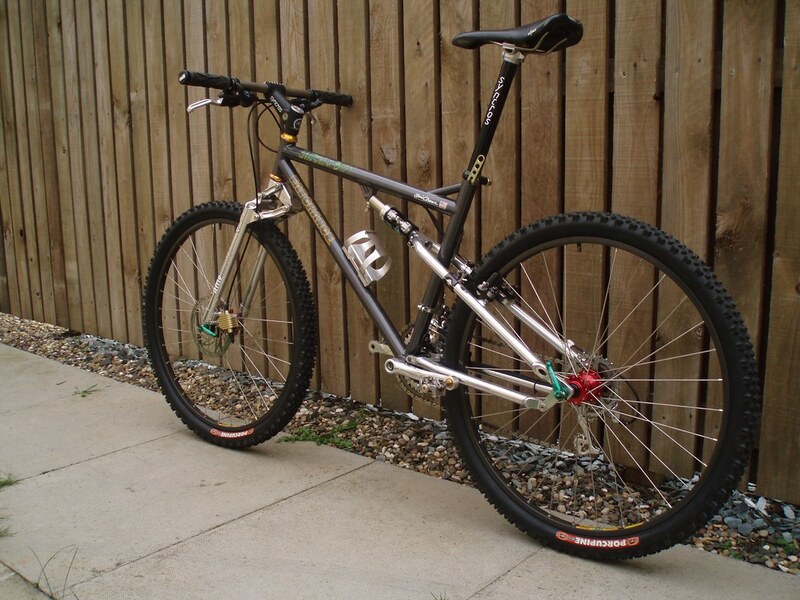 For those who haven’t picked up the buzz on the forum retrobike will have a big presence at Mountain Mayhem 2008. As well as 4 teams, 3 solo riders and assorted hangers on we are once again having a stand in the main arena. If at MM this weekend come and say hello! We’ve seen a few builds using drop bars recently, so thought this pic from 1990 would maybe explain where it all came from… Absolute proof that the man Tomac can make anything look the business…..